Balancing Jane: Boo! Are you Healthier Now? Sociological Images has a really interesting post by Christie Barcelos today about anti-smoking campaigns. Now, before I analyze this, I want to make a disclaimer. I am firmly anti-smoking. I think that the tobacco industry used years of insidious advertising to create a vast target audience with no regard to the safety of their product. Today is the third anniversary of my father's death, a man who died before age 60 from arterial disease, very likely a direct result of his decades of smoking. I suffered myself from excruciating ear infections from infancy until I moved out of the (smoke-filled) house I grew up in at 18. I have not had an ear infection since. I will not let anyone smoke near my daughter or in my house or car. I seek out restaurants with smoking bans, not just non-smoking sections. I dislike cigarettes very much. 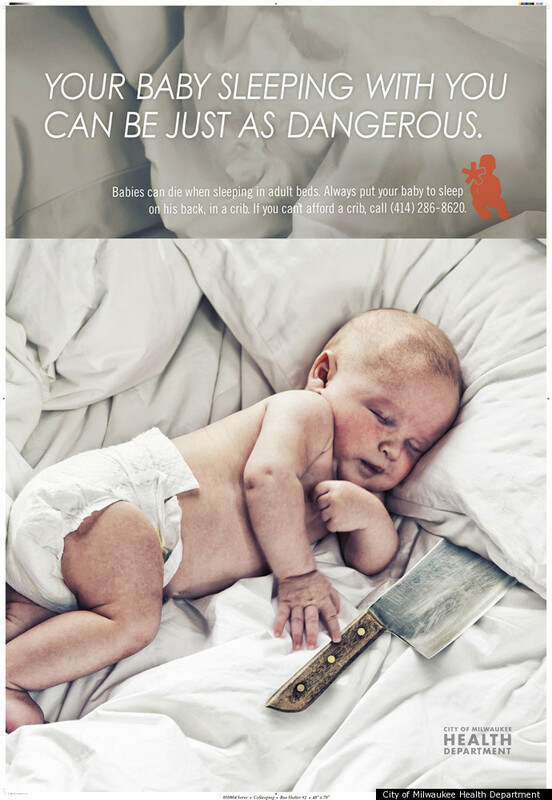 All that said, Barcelos brings up some really good points about the CDC's new graphic anti-smoking ads. These ads--titled "Tips from Former Smokers"--feature people who are suffering from smoking-related debilitations such as cancer and vascular disease. In addition to the whether these ads will be effective in persuading smokers to quit, we might ask whether fear and stigma are appropriate health promotion strategies. Is it possible or ethical to scare people into changing their behaviors? What are the implications of using stigmatized people to serve as a warning label to others? I immediately thought of two other ad campaigns. The ads invite us to feel disgust at their bodies and fear at what could happen to our own. But is that really what we want from a health campaign? The fear of what will happen to us if we don't behave and make the "good" choices? Shouldn't motivations for health come from a desire for positive outcomes rather than disgust at the negative ones (and, by extension, disgust at the people that we perceive as representing them)? Is fear really the way to get healthy? To answer your question simply in one word, Yes. But its also not that simple. Fear is what most health campaigns are based on but this recent ramp on health has been less subtle than traditional health campaign models. As a public health professional we are taught to use fear as a motivating factor. Those with increased fear in the forms of risk and severity are more likely to change a bad habit. Now couple that with culturally relevant images and now you have a campaign. 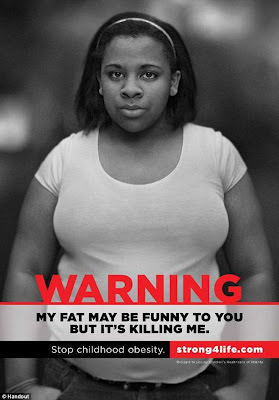 This fear factor approach to behavioral change is nothing new, and considering the rise in obesity and smoking among younger generations, this type of graphic campaigning is a "hail Mary" of sorts. For years we have been taught to eat right and exercise and that smoking is bad, or that co-sleeping can lead to accidental suffocation. Yet we see the statistics that these messages just are not getting through to people. Hence the ads you see before you. Personally, I am in support of this more aggressive approach. Why? Because these health concerns are no longer "other people" problems. They are problems that affect us all in what they cost tax payers every year, and the added burden these preventable health issue have become on the healthcare system. In the end, these ads are super charging an approach that has been used for decades, and the fact that we are discussing these ads, means the ads are doing what they should..drawing awareness to preventable issues. All good points, especially the discussion of how these individual decisions affect us on a collective level and become a societal issue--I definitely won't argue against that. But my main concern with fear as the primary motivator is that fear, by necessity, requires oversimplification. When fear becomes the main message, there's not a lot of room for nuance. For example, I received--loud and clear--the message that co-sleeping was bad. By the time I gave birth, I had read about, seen videos on, and heard horror stories for SIDS everywhere I turned. Even though I had seen the actual statistics and logically knew it was relatively rare, I was TERRIFIED of SIDS because of the way it had been presented. But you know what? I ended up co-sleeping sometimes. When she was very little, I usually slept on the floor so that there were no soft surfaces and tried to make it as safe as possible, but I had been up for two or three days at a time with literally minutes of sleep. I was exhausted. All of those campaigns had done their job in instilling me with fear, and by the time I was actually faced with the choice they'd done their other job of instilling me with guilt, but I still did it. I'm not saying we shouldn't have public health campaigns, and I'm not even saying we should never use fear as a motivator, but I do wonder if--even though it IS a collective problem--we need to be a little more sensitive to individual lives, and not just for sensitivity's sake, but also for effectiveness.